"Great robust solution for running FEA"
The interface and setup is relatively intuitive (IF you've used FEA CAE software in the past). It's relatively quick and easy to import a model or assembly and start working on it, as it's seamlessly integrated into SolidWorks (assuming you have the pro license for Simulation). Results are easy to interpret and easy to export reports for as well. Firstly, it's not as robust as it could be--but then I've used ANSYS Workbench in the past, which is quite involved, unintuitive, but very comprehensive. There are times you'll struggle to get parts or features to mesh where there are certain assumptions that should have been made by the software. A lot of the time, even though my environment defaults are imperial, I'll get my results in ANSI/metric. It's quickly resolved by modifying the properties for the IPS I want, but it seems a bit silly that the software defaults and my model are created in imperial IPS units, but I get my results in mmgs. I've also had problems with complex assemblies or parts with varying geometries meshing and analyzing, and some scenarios where I couldn't run iterative analysis and had to work through large-displacement instead. SIMPLIFY. Seriously. As much as possible, simplify your design to the point where it's still relevant geometry. If you can turn an assembly into a single solid model, this will save some headaches figuring out connections, soft springs, attachment points, and meshing. IF you can (don't do this if it's not doable, as you'll invalidate your results). But to my point, watch some YouTube videos of common mistakes people make and understand the interpretation of your analysis. I still do a lot of hand calculation (or build smart calculators in Excel) to verify that I'm at least in the ballpark of what I expect is the result of my Analysis. Also, make sure you have the workstation with the proper power benchmarks to run this. Multicore processors are great, but SolidWorks Simulation is better running on a higher clock speed 4 core processor than a lower clock speed 8 core. SSD is essential! Don't let a HDD be your bottleneck. And RAM should be, at least 16GB. Running FEA helps prevent design problems, minimizes waste (in lieu of being overdesigned), and gets products to market much quicker, as you won't have to build iterations of prototypes, you can get--probably--90% confidence in your design and build a quick prototype for testing, based on results of your analysis in SolidWorks Simulation. "Useful tool for predicting testing performance"
SolidWorks Simulation is a very useful tool for predicting the performance of spinal implants in different test setups. Static tests are pretty simple to set up and should give you meaningful results. We generally perform an FEA early in the design process to verify the product that is begin designed is safe enough to persue. While FEA does provide useful information, it is not a substitute for physical testing. Dynamic testing testing is also a little more difficult to set up and requires a powerful PC and lots of run time. Only people familiar with 3D Cad software such as SolidWorks should give this a shot as there is a big learning curve required for this software. If you just need to gather basic stresses of solid materials then this should do the trick. If you need more detailed information or need to run a dynamic test on a model you may want to look elsewhere or consider sending your FEAs to colleges and/or universities which may offer much more detailed reports. Solidworks simulation provides us with a tool to evaluate how a certain product may do in physical testing. Occasionally an FEA performed with SolidWorks Simulation was adequate enough to submit a new product to the FDA. We have had several instances where an FEA was performed and it was determined that we could not move ahead with physical testing. The amount of time and money this saves us is quite significant. "The old Cosmos still kicking"
This is a versatile FEA product. Tetrahedral mesh only with versatile refinement schemes. It has mesh quality display. Pretty good for general use. Linear simulation has the benefit of large displacements. Nonlinear is awesome. Embedded in SolidWorks; does not lock up SolidWorks preventing from doing other work – depending on your hardware you still might work or other files than those used in the FEA. There is not much that I dislike. I guess, I would like to have more choices for mesh element type. Also, It would be nice if there was a one-click mthod of turning off the scene lighting scheme and switching to 100% ambient for viewing unbiased colors of the results plot - as it is available in the SolidWorks Flow Simulation. As with any simulation tools, strong physical fundamentals are a must. Like with any other FEA - don't use for what was not meant. Unless you really know what are you doing and want to experiment. Structural design for medical devices, LED illumination systems and electronics. "I've played around with this a bit for my own needs"
The particle flow simulation is fantastic and very easy to set up. Also running tests to find proper volumes is very helpful and also eliminates a lot of manual testing time. Tests ran a little slow, and the animations were not very long before you'd have to restart them. Also the choices for particulates are very specific, but lack ordinary objects like house hold dust and hair, which would be useful for designing vacuum cleaners. And finally the input for some of the flow simulations were not in the units given by manufacturers so I had to do some of the calculations by hand, which was rather tedious. Volume analysis doesn't work on negative spaces, so spaces must be filled before hand, or made in a different file before being cut from the model. Very helpful when you have a lot of options and not a lot of time. Being able to easily find the best size for a specific volume and using those in a model instead of guessing and hoping after the fact that you were close enough. Solidworks Simulation is fairly intuitive. It can be easy to learn and become proficient. Expert level understanding is a bit harder to get to. Sometimes Solidworks Simulation has bugs for no understandable reason. Occasionally it has to be restarted to make it work. FEA software that works well and is intuitive-sign up for Solidworks Simulation. I have used Solidworks Simulation for many years to design products. It makes it check the mechanical properties of a design under different loads and forces. The ease of set up. I can set up a static simulation and within a few minutes know the safety factor for a part. There could be some better tools to show what is causing meshes to fail. We use this to validate that our components will not deflect to much or that we have components that can withstand stress. "Not the best, but pretty good!" The best part according to me is the fact that you can directly analyze your design without exporting the files and import them in another FEA software. The software is easy to use for easy to medium-difficult test cases, especially for static analysis. The software is good for basic and early design analysis. When it comes to detailed FEA like dynamic analysis, the software gets pretty difficult to use and setup. I normally switch to other FEA specific software for such detailed studies. Good for basic test cases, difficult for dynamic analysis. Structural analysis for consumer products. Beneficial when doing the basic static analysis. Very straight forward software to stimulate forces on a created 3D modeling. Many function such as displacement, stress, and failure mode are good demonstration of where could the product fails. It is the best way to visualize the theoretical knowledge. This product is quite expensive, especially for students. And all of the versions are not compatible to each other causing difficulty in working in group. Overall, it would be best if the versions of the same software are compatible or discontinue to support the older version. I would suggest giving discount for group of 4,5 students as it usually occurs that the software is used for group project. easy program for realize preliminary study of design. Quite easy to use also for non engineering profile user. i used few times this program for FEM simulation more often I used the plastic simulation for the molding simulation. 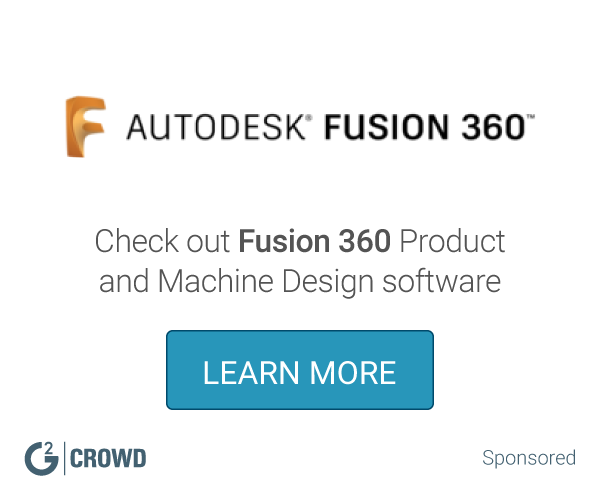 "The easiest software program for running Finite Element Analysis"
Interconnected to SolidWorks design software program. Easy for Finite Element Analysis, especially for testing process or beginners. It lacks of the ability to provide good mesh, multi-physics capabilities. Testing procedure when investigating physical problems, like Heat Transfer, Mechanical Deformation and simple Fluid Mechanics. * We monitor all SIMULIA reviews to prevent fraudulent reviews and keep review quality high. We do not post reviews by company employees or direct competitors. Validated reviews require the user to submit a screenshot of the product containing their user ID, in order to verify a user is an actual user of the product. Hi there! Are you looking to implement a solution like SIMULIA?